Artika is a LLB and B.com graduate of the University of Canterbury, New Zealand and is experienced in all aspects of commercial law practice in Fiji. In January 2017 Artika accepted an invitation to become a partner of the firm and her particular areas of practice and expertise include Intellectual Property Law in the South Pacific region, Commercial Law, Property Law and Taxation. Artika is also the firm’s senior practitioner for all commercial property matters which she handles with skill, efficiency and an attention to detail and mentors other lawyers within the firm. 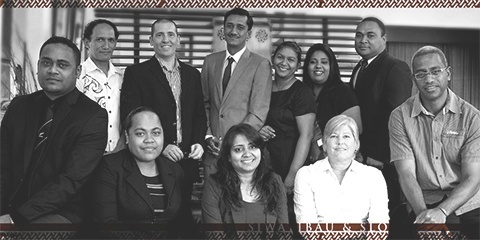 Chambers Asia-Pacific 2016 explains that Artika: ‘leads the firm's IP practice, servicing the regional needs of international companies and law firms, as well as large Fijian organisations. She is recommended as "very efficient, very timely and very professional," and for "always providing excellent client service." Artika is highly regarded internationally, and is particularly known for her thorough legal work, professional attitude and within the firm for her patience in mentoring others. Under her dedicated stewardship the firm’s IP division known as the Pacific Islands Intellectual Property Services (PIIPS) has become a premier IP Service provider out of the Pacific region. Artika’s professional career has had many highlights, in May 2011 Artika was selected by the United States Department of State under its International Leadership Program to attend training for Protection of Intellectual Property Rights in the United States. Artika gained knowledge of IP related issues faced today and new ways of protection of IP rights of owners which has assisted her in advising clients to obtained commercial advantages and protections through their IP. Aminiasi has been with our firm from February 2008 and took up an invitation to join the partnership from January 2017. Aminiasi has taken a leadership role in our specialist Intellectual Property team known as the Pacific Islands Intellectual Property Services or PIIPS for short. While he has specialised in Intellectual Property law he has also taken a leadership role in relation to our Commercial Litigation team where he regularly represents clients at all levels of the Fiji court system in employment disputes and insurance cases. His work, personality and commitment to client care have seen him develop into a well-liked and reputable lawyer capable of meeting with local and international clients and meeting the high service delivery standards of the firm. Aminiasi has obtained significant experience in the area of Intellectual Property Laws in Fiji and the South Pacific Region. He manages large trademark portfolios for clients and advises clients on how to secure commercial advantages and protection of their IP rights in Fiji and the South Pacific context. Aminiasi is a member of the International Trade Marks Associations, a council member of the Fiji Law Society, and has sat as a Board member of the Fiji Boxing Commission. Aminiasi was also part of the review board that was tasked with the review of Fiji’s Trade Mark Act. In his spare time Aminiasi is an avid fan of the NZ All-Blacks 15 and Fiji 7s Rugby Teams and enjoys DIY carpentry projects although he advises us ‘to become a millionaire doing carpentry, it is best to start off as a billionaire’. Ana has been with our firm for nearly 4 years, and joined us after completing a 3 month legal placement with our firm. Ana graduated from the University of the South Pacific in December 2011 with a Bachelor of Commerce degree (majoring in economics) and a LLB, and this broad background has assisted her adapt to a wide range of matters. Within our firm Ana has become an integral member of the commercial team under the supervision of Atu Siwatibau, and she has specialised in the creation and registration of charitable trusts and enjoys property work, general commercial and employment law. Ana assists with commercial property work and has undertaken specialist training in Strata Titling, and attended a short course in commercial contractual drafting held at the University of Cambridge, England in December 2016. Ana is interested in keeping fit and is an expert Zumba dancer. Atu has more than 20 years’ experience as a commercial lawyer. Chambers Asia-Pacific 2016 describe him as ‘a highly regarded practitioner with an established reputation for construction industry matters. One source quoted by Chambers commented: "He doesn't shirk any responsibility and is able to localise our ideas for the Fiji environment." Atu graduated from the University of Canterbury, New Zealand, with a Bachelor of Commerce (majoring in Economics and Business Administration) and an LLB (majoring in Commercial Law) and then spent 7 years as a commercial lawyer with the well regarded Auckland CBD firm Hesketh Henry. In 2005 Atu co-founded the firm with the intention of contributing to nation-building projects in Fiji. In recent years Atu has been involved in some of Fiji's most exciting infrastructure and business projects and has played an integral part in their success. Atu manages a team of 3 commercial lawyers and 2 clerks who are committed to timely service delivery and the maxim: "late advice is no advice." Atu's professional experience includes: Mergers and Acquisitions; Intellectual Property; commercial contract drafting; due diligence; and principles of risk management. Acted for Ford Motor Company New Zealand’s purchase and merging of a number of New Zealand automotive businesses, acquisition of Mazda’s shares in New Zealand automotive businesses, acquisition of Land Rover, acquisition of Jaguar, acquisition of Hertz Rental Cars and sale of Ford New Zealand’s Alloy Wheel Plant. Atu is also a member of the Steering Committee for the redrafting of IP laws in Fiji to bring it into line with TRIPS Agreement requirements Trade mark registration and oppositions o General corporate and commercial issues. Elisha has been with our firm from its commencement in various capacities. He is an extremely down to earth and professional legal clerk who liaises with many government departments to assist with our day to day commercial legal work. This includes regularly visiting the Registrar of Companies, the Registrar of Titles, Immigration, Inland Revenue, the Judiciary, the Lands Department, iTaukei Affairs Board and the Land Transport Authority. Elisha is supervised by the Commercial team and is an invaluable member of our firm. George has been a reliable, professional and capable IP Administrator with Siwatibau and Sloan for more than 8 years. He is responsible for undertaking a range of professional services under the supervision of our IP lawyers. George also assists and supports the Commercial Property team and the litigation team. George represented Fiji in hockey for more than 10 years and is famous for his post-match celebrations in Suva’s premier Irish pub. Iliame is an integral member of our firm and as our Business and Operations Manager and IT Manager and professional power lifter, is no stranger to heavy lifting. He holds a variety of qualifications in Electronics Engineering and various software and hardware platforms. Within our firm, Iliame is responsible for creating secure and dedicated information management systems that ensure our clients’ information is kept confidential. In the next few years, Iliame is tasked with managing projects that will ensure our clients are serviced with the most up to date IT solutions for their legal needs. In his spare time, Iliame enjoys keeping fit and has represented Fiji in power lifting. James co-founded the firm in 2005 with the aim of creating a commercial law firm that would provide professional legal services suited to the Fiji law and governance context. While his background in England saw him specialise in administrative, environmental and planning law, this broadened with the commencement of the firm to wider civil litigation and commercial law. James has developed a strong interest in Fiji’s legal and governance context that incorporates elements of traditional and introduced common law within a modern centralised system. He has a deep appreciation for Fiji’s natural environment and its nuanced governance system, and hopes to contribute to the sustainable management of Fiji’s natural resources through the application of the law and best practice management tools while still appreciating Fiji’s unique cultural and traditional heritage. In 2008, and together with other dedicated environmental lawyers James co-founded the Fiji Environmental Law Association (FELA) and Chaired FELA's Executive Management Committee from 2008 to March 2018 (www.fela.org.fj). Josefa (Jo) started work in our firm in 2011. While he has plans to complete his law degree he is currently a law clerk with our firm and assists all our lawyers in relation to incorporation of companies, property dealings, civil litigation filing, due diligence assistance, and general enquiries and assistance. Jo provides the invaluable contact between our lawyers and the various government departments that are integral to the delivery of our commercial legal work. This includes regularly visiting the Registrar of Companies, the Registrar of Titles, Immigration, Inland Revenue, the Judiciary, the Lands Department, iTaukei Affairs Board and the Land Transport Authority. Jo’s aims include Increasing his knowledge of the law, completing his law degree and then joining our firm as a lawyer specialising in construction and energy law. His ambition is to pass the Krav Maga initiation. Kashni is our Accounts Manager. She is responsible for handling all the firm’s internal accounts processes in conjunction with the firm’s external accountants Ernst and Young. Kashni’s role is to ensure that all the firm’s accounts are kept in order and to ensure that all our invoices are sent out in a timely fashion. Over the years she has provided a dedicated and professional service to our firm and we greatly appreciate the work that she does. Kevin is a dedicated environmental lawyer with extensive academic and professional experience in this area. Kevin’s main areas of interest include environmental and energy law. While he was with our firm Kevin for 3 years up to August 2016 he was involved with a range of projects that aimed at increasing knowledge of the local legal and governance context with respect to the sustainable use of natural resources. Kevin has a wealth of academic experience including his Law degree, a Masters’ degree in Environmental Management from the University of Queensland in Australia and is part of the Rhodes Academy of Oceans Law and Policy alumni. Kevin has gained a deep appreciation for the Law of the Sea and is still closely following developments in this area and in particular the current negotiations related to Biodiversity Beyond National Jurisdiction (BBNJ). Kevin has previously worked with the Fiji Environmental Law Association and the IUCN environmental law team. Kevin is presently reading a masters at Stanford Law in California and when he has some free time provides consulting services to our firm in relation to Oceans Law. Komal was recruited to join the firm’s IP team in January 2016 and in our firm specializes as an IP Administrator where she assists the lawyers in file management and ensuring that all applications for Trademarks and Patent in Fiji and Pacific/Oceania Region receive the required attention for expeditious completion of matters. Komal has plans to complete her law degree and work in IP and Commercial Property law. Mary has 35 years of experience as a lawyer in the jurisdictions of California (US) and in Fiji, and for the last 5 years has headed up our commercial litigation department. Prior to joining our firm, Mary had enjoyed a varied career within the US where she is a graduate of Berkely, California. She spent 23 years in private practice in California in the areas of company law, commercial, real estate, taxation, estate planning and wills, probate and trusts. In January 2004 she moved to Fiji, and prior to joining our firm worked as a senior litigator and magistrate. Mary is a very competent litigator who provides excellent supervision to all our litigators as well as advising our commercial clients on how to avoid litigation. She has a practical no nonsense approach that appeals to clients and a knowledge of litigation that is second to none. With our firm Mary has specialised in civil and commercial cases in the Employment Tribunal, Suva High Court, Lautoka High Court, Labasa High Court, Suva Magistrates Court, Nadi Magistrates Court, Fiji Court of Appeal and Supreme Court of Fiji, and representing clients in mediation and arbitration. Mary also advises in relation to civil and commercial matters and this includes employment advice and disputes, share sale and purchase agreements, Capetown Convention implementation and compliance, construction documents and out of court claims against banking institutions for noncompliance with customer mandate. Mary has worked on a number of fraud related matters and has enjoyed a variety of successes in relation to complex insurance matters, probate matters and complicated land disputes. Prior to joining the firm in 2011, Pita was a Senior prosecutor at the Office of the Director of Public Prosecutions (DPP) where he was part of the General Crimes Unit, responsible for the prosecution of serious criminal offences. Within our firm Pita is a senior litigator and handles a wide range of litigation matters including: employment claims, personal injury matters, debt collection and company matters. Pita has a reputation for reliability, professional integrity and honesty. He is well regarded by his peers and the wider legal profession. Pita is always willing to assist any lawyer in relation to their matters and has handled a number of notable pro-bono cases in the public interest. He is proud to have appeared at every level of Fiji’s court system including the Supreme Court. Seini has 5 years of commercial law practice experience and joined our firm in January 2016 as part of the Commercial team under the supervision of Atu Siwatibau. Seini areas of interest include Commercial Property, Commercial and Estate Law. She also advises clients on commercial law matters, including, but not limited to company formation, foreign investment, drafting and reviewing contracts. Seini has a quiet professionalism that resonates in the way that she undertakes her work and handles all her matters. She is committed to advising clients on how their matter will proceed and ensures that all regulatory and legal obligations are complied with. Seini has also had some experience in civil aviation law immigration, mining, and employment. Seini’s competence, careful approach and excellent understanding of property and tax matters has seen her be appointed head of our commercial property section. Sarote has been the firm’s law librarian from the time we opened our doors in 2005. Sarote provides a professional and dedicated library service which includes updating all the legislation in Fiji in an electronic format. This is an invaluable service in Fiji where legislation is continually changing and is not always updated. Sarote has also created a database of Fiji Government Gazette advertisements, which include all the amendments to Fiji law and provide numerous legal alerts. Sarote has also created a case citation database for High Court of Fiji and Court of Appeal. She has been a dedicated and professional librarian for over 30 years and is capable of responding to client requests for library information and we frequently update our clients with the latest legislation with amendments. Time and again Sarote’s services have proved invaluable to our practice. Assisting our client with permits, licences and approval processes. We are an established law firm that provides a full range of commercial and litigation legal services to clients who are doing (or would like to do) successful business in Fiji or the region. Fiji presents unique and exciting opportunities for investors, commercial entities, donor bodies and individuals. The secret to our firm's success is identifying, employing and encouraging the right people to bind together to make a diverse and dynamic team with the relevant skill sets to provide the international standard services that our clients expect. For more information on our individual team members you can meet Our Lawyers by clicking on their profiles above. As a firm we are committed to providing an excellent and professionally rewarding work environment that expressly aims to develop all our employees and provide them with every opportunity to develop in their chosen career. We have a modern approach to human resources that draws on proven development and leadership principles. To learn more about our firm's HR policy, ethos and principles you can view our Office Policy Manual. We have a modern approach to legal services which puts our clients' needs and cost and efficiency at the forefront of what we do. We have always invested in a full time legal librarian that ensures our database of Fiji laws and regional laws are updated. We have an open door policy to any new or existing client to discuss any issue without charge. If you choose to instruct us we can agree the outcomes that you want to achieve and the cost before we commence work. Our commitment to IP has seen PIIPS become the fastest expanding and best IP service provider in the Pacific region. 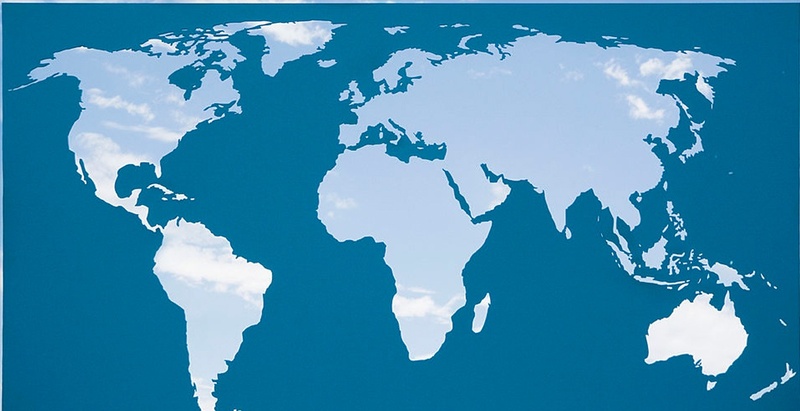 In recent years our commitment to service delivery has seen us expand our services to new jurisdictions that notably include: Australia, Singapore, Mynamar and New Zealand. We have expertise in the region and to read more about IP and the region please review our article in "Managing IP".